We believe in providing our customers quality, affordable meals. That’s why we’ve partnered with Gleaners for the past 3 years, raising funds thru our Drink of the Week program to provide families in our community with necessary meals. 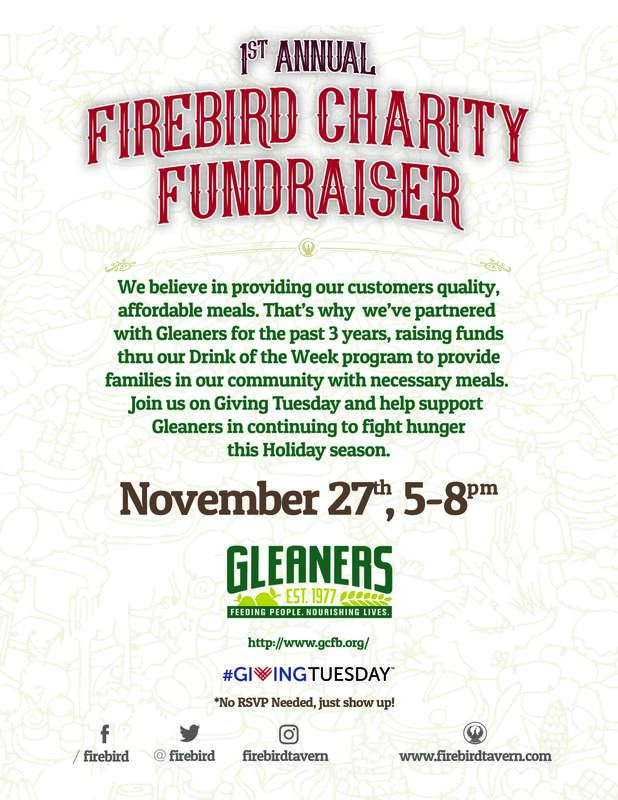 Join us on Giving Tuesday and help support Gleaners in continuing to fight hunger this Holiday season.